The exhibition “Echoes of ink and paper. 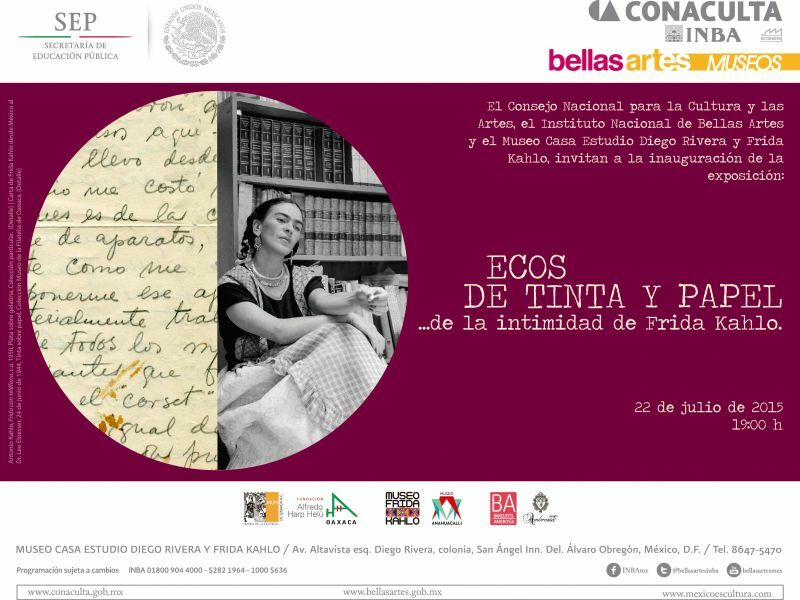 From the privacy of Frida Kahlo will run from July 23 to November 8 at the Museo Casa Estudio Diego Rivera and Frida Kahlo. "I think learning more about her human side is a different way of appreciating the work of Frida Kahlo. 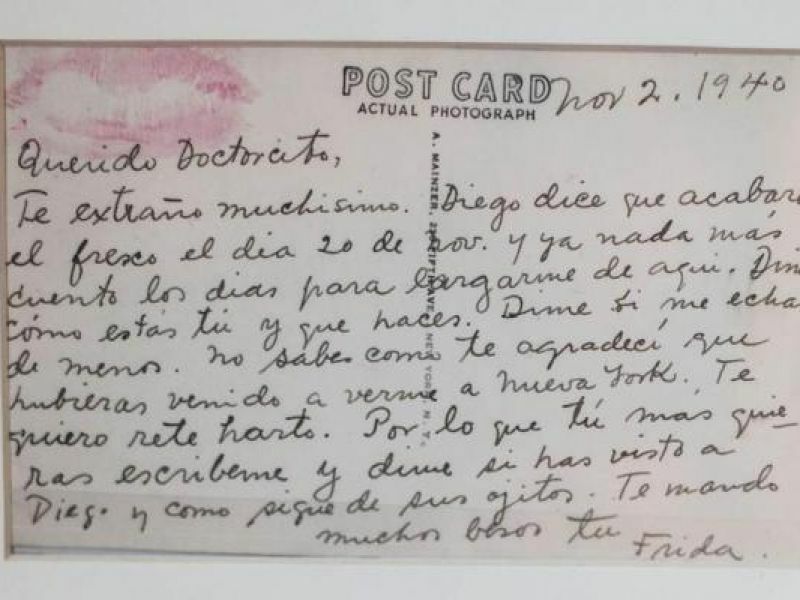 She was a real person who had problems, joys, loved popular music and fought with her husband," like any other woman, said Cristina Kahlo Alcalá, niece of the famous Mexican painter and curator of the exhibition, that includes 85 objects, such as photos, drawings, stamps and letters written to her sisters María Luisa and Matilde; Nickolas Muray, a photographer with whom Frida had an affair and actress Dolores del Río, who was her close friend. The objects come from the collections of the Frida Kahlo Museum, the Art Museum of Philadelphia, the Slim Foundation and the Philatelic Museum of Oaxaca. Check out this link for pictures.